Life in the Clouds: The Backpackers are Coming! When we arrived at Zephyr Lodge in Lanquin, Guatemala last Thursday for our first Manna retreat, I realized I had forgotten to pack my dreadlocks. 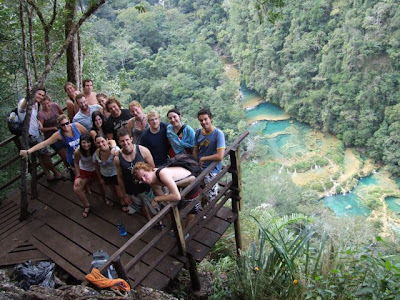 Semuc Champey is a huge backpacking destination in Guatemala and Zephyr is one of the most fun hostels there. Consequently, the vibe was very hippie chic. I’ll admit it, I like to fit in, but I found this difficult to accomplish in my J.Crew dress and cardigan. I hoped my perfunctory “hippie” bracelets could engender that bohemian vibe that oozed freely from everyone else. My initial intimidation with these backpackers was because everyone seemed like such seasoned veterans and, in a way, they were. However, what I came to realize was that while they had been to more places than I had, their experiences were very shallow--all tainted by the thick lenses of tourists. On the other hand, by living in one place for a year, I am developing a much richer understanding of this country and its culture. Obviously, my experiences are still that of an outsider, but after six months, my metaphorical prescription is lower. The idea of backpacking has always been alluring. There’s something about drifting from place to place without a home (or shoes) that speaks to my rebellious side. However, that idea is quickly squashed by an overwhelming desire to make plans and save my beautiful shoe collection. As I compared my experiences to those of the friends I had met at Zephyr, I couldn’t help but feel that I was getting the better end of the deal. I’m establishing long-term relationships and developing a holistic understanding of a place. However, I realize my view point is pretty skewed. At the end of the day, traveling in a foreign country and living in one produce two very different experiences. 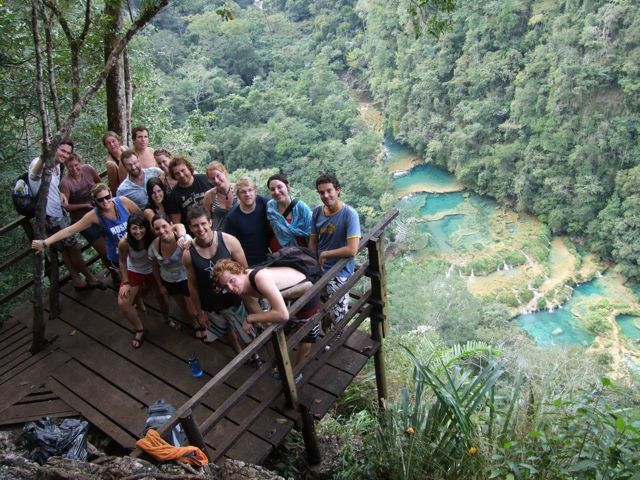 Hi I have a question, what is the transportation system like in Guatemala? I am backpacking there with a colleague beginning June 28th and we didn't know how the transportation system works there.